So, the day we are going to New Zealand, a guy gets taken by a great white shark near Auckland and so a police officer pulls out a gun and tries to shoot the shark ... Doesn't matter that there are two sharks in the area, he see's what he think is the shark and tries to shoot it. I mean what else was he to do Bro? I'm not saying any of that is right or wrong, or that my facts are more than vaguely correct, but I like the fact that it happened and that we didn't have the usual media frenzy over it that would have occurred in Australia. There was no hysteria about the park having to be shut down, no dragging out of experts who had been saying for years that the park was too dangerous, no distraught family members and friends, no trawling of facebook images ... just a story that a tourist has an accident and he dies (no disrespect to dead tourist here, just trying to make a point). Three days later a helicopter crashes, and whilst interviewing the police officer in charge, the guy replies to the "what will you do next?" question with a straight back "hey, we'll just do what we normally do". I almost fell out of my chair with laughter. Hey bro, don't you know how often tourist copters crash over here, I mean come on ... I wouldn't have been surprised if he had finished his sentence with "just so long as it doesn't stop me and my bros going surfing, we should get it wrapped up this afternoon". Seriously, while we've been over here it seems that someone gets killed or injured in some peculiar way ... and they seem to just take it in their stride. I like that ... 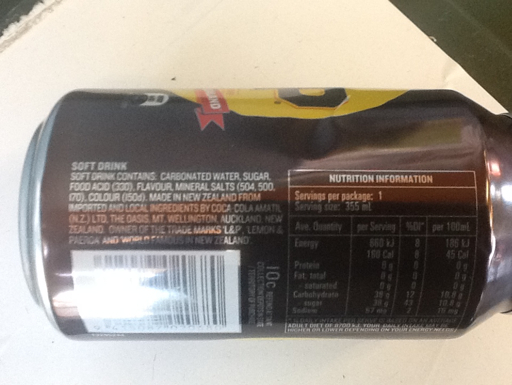 It's real, and that's how New Zealand promotes itself. Real. 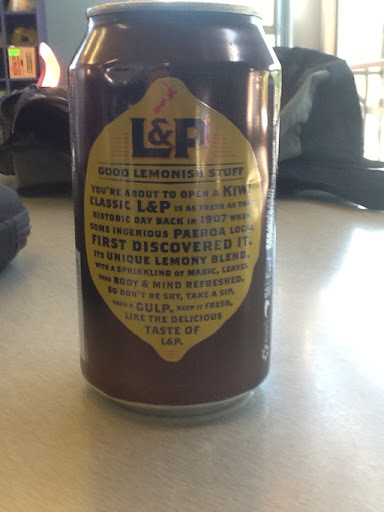 Not a bloody lemon in sight, just the generic ingredient "flavour" (it's hidden after the carbonated water, sugar and food acid and just before the mineral salts and colour) which leads me to the question ... 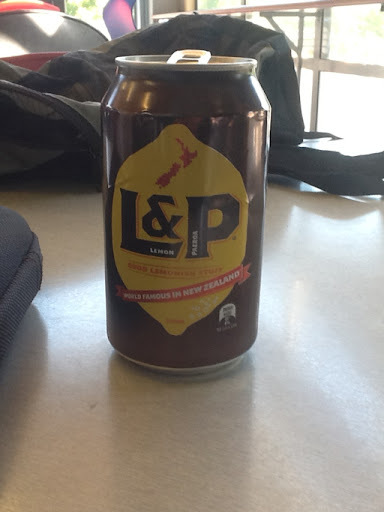 If New Zealand is the Real Thing and Coca Cola (the makers) are the Real Thing ... Why can't the two of them together bring out a Real lemon drink? I really can't see that Paeroan back in 1907 adding flavouring and colouring to his jug of sugar water and thinking "Eureka ... this is the real thing". ... I'd suggest bulk shipping it off to some small island to the east and letting them get rid of it for you.